​It should be evident if you’re following news concerning the Standing Rock protests in North Dakota that tension continues to escalate between protestors supporting the Standing Rock Sioux Tribe and riot police. The big deal? A four-state Dakota Access Pipeline which threatens to uproot sacred burial ground, poison the Missouri river, and make null an 1881 treaty ensuring the property belongs to the Standing Rock Sioux tribe. In addition to being maced and beaten with batons, activists have been tased and even shot with rubber bullets. 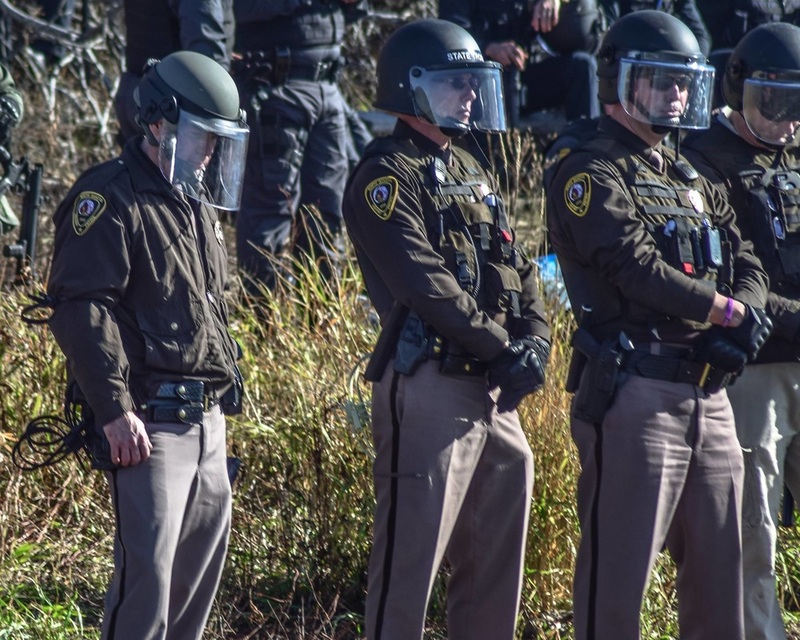 Despite the violence taking place, tribal leaders continue to ask all “water protectors” to maintain peaceful relations and rely on prayer as the only source used to halt construction of the DAPL. In light of all this, many have asked how those employed by the State can continue to terrorize weaponless protestors. Surely, some form of cognitive dissonance must be taking place? For some, most likely, and that’s undoubtedly what inspired at least two officers to turn in their badges. According to an activist named Redhawk, there have been reports of at least two officers turning in their badges after acknowledging that the battle against the American people is not what they signed up for.